“Sunburst” pays homage to the sun and the earth. 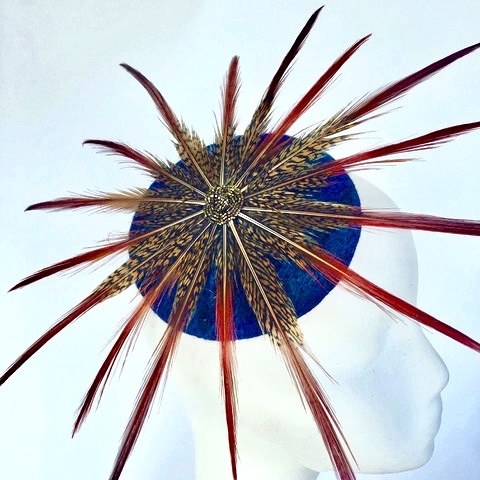 Golden Pheasant feathers encircle a beautifully hand-beaded center, stitched to a hand-felted fascinator base. Dazzle the masses, embrace your beauty and radiate your gorgeous feminine power! Once size fits all. 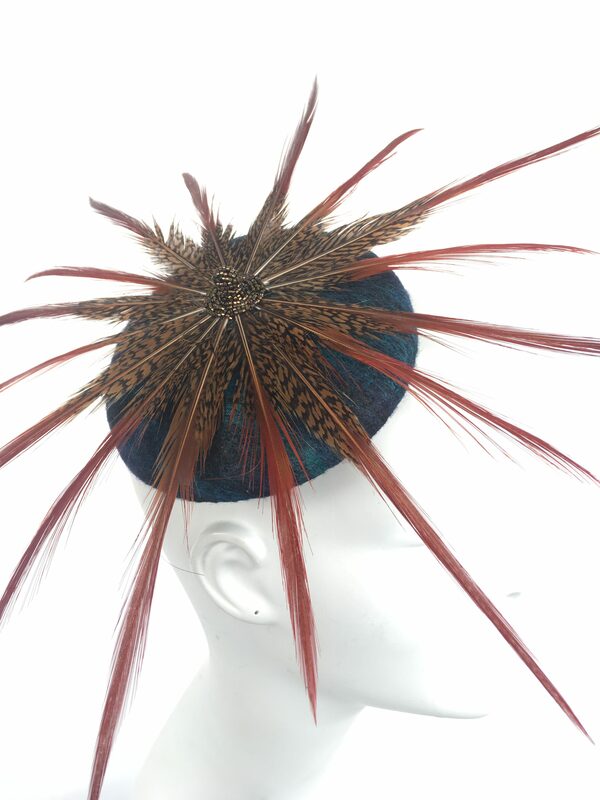 Fascinator is held in place by a millinery elastic that is buried in the hair at the back of the head.